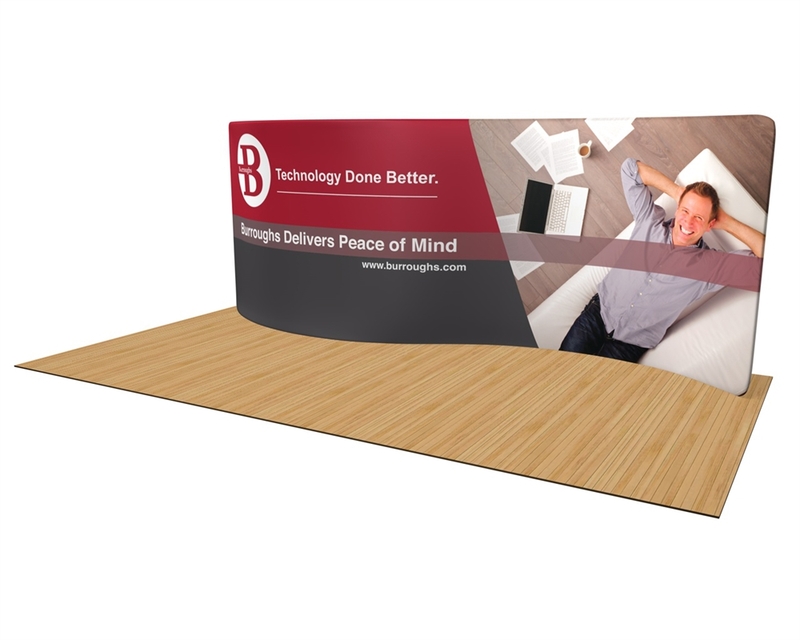 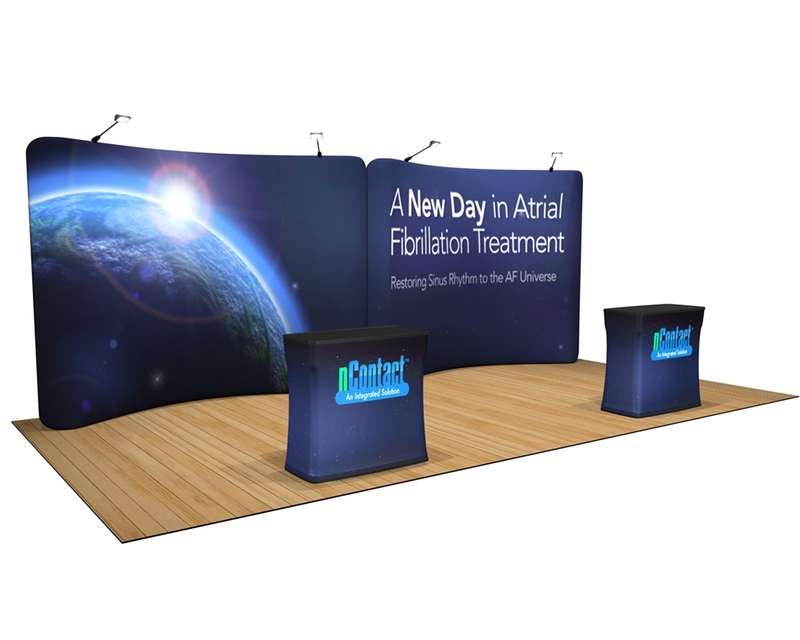 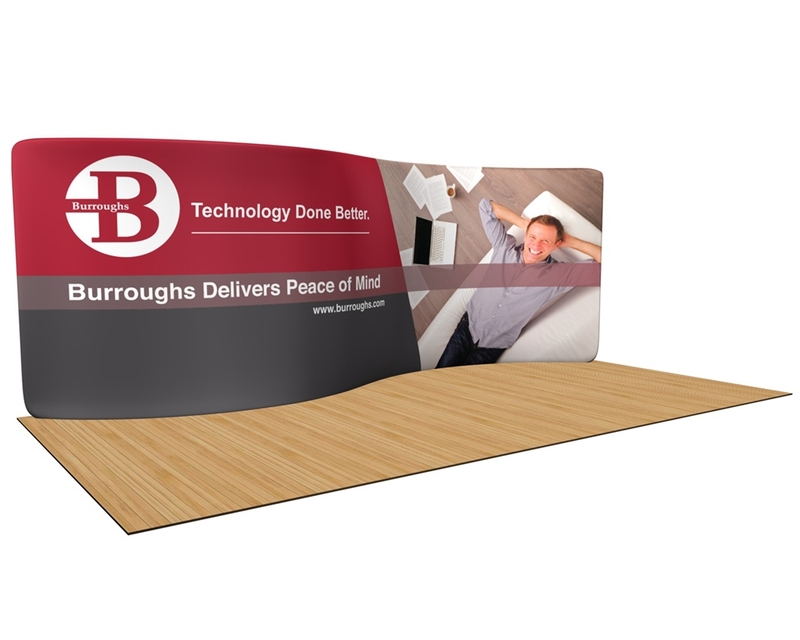 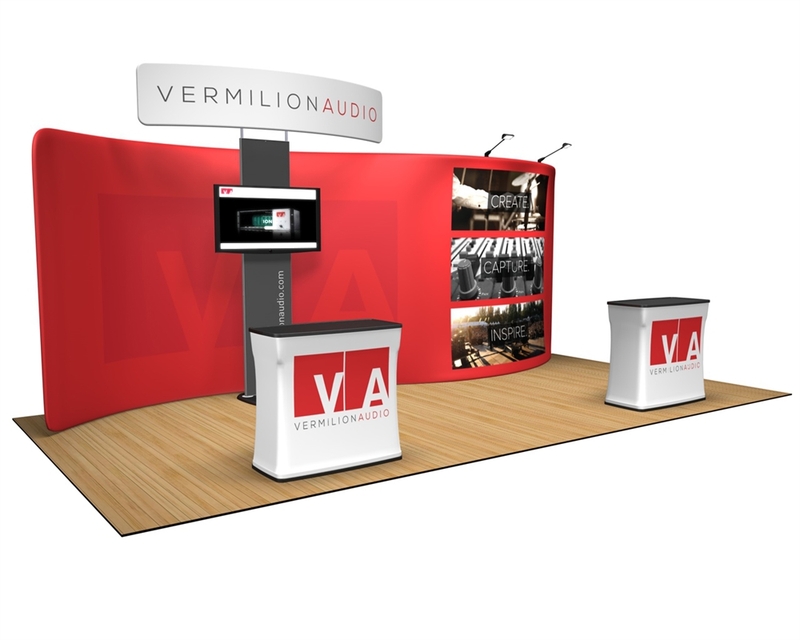 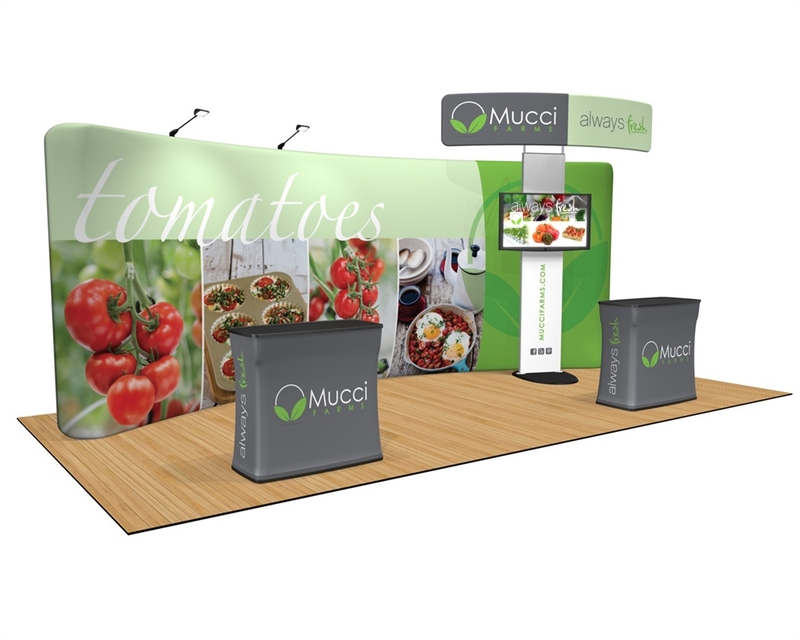 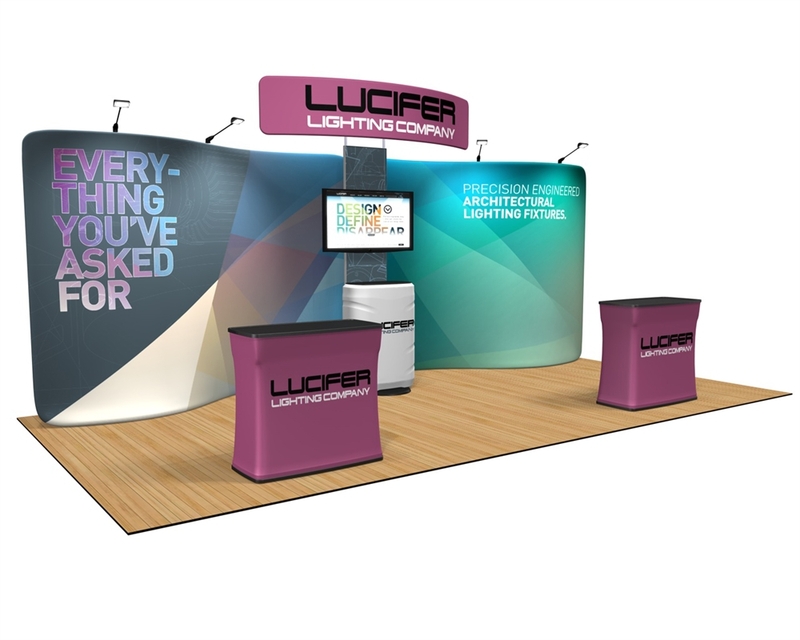 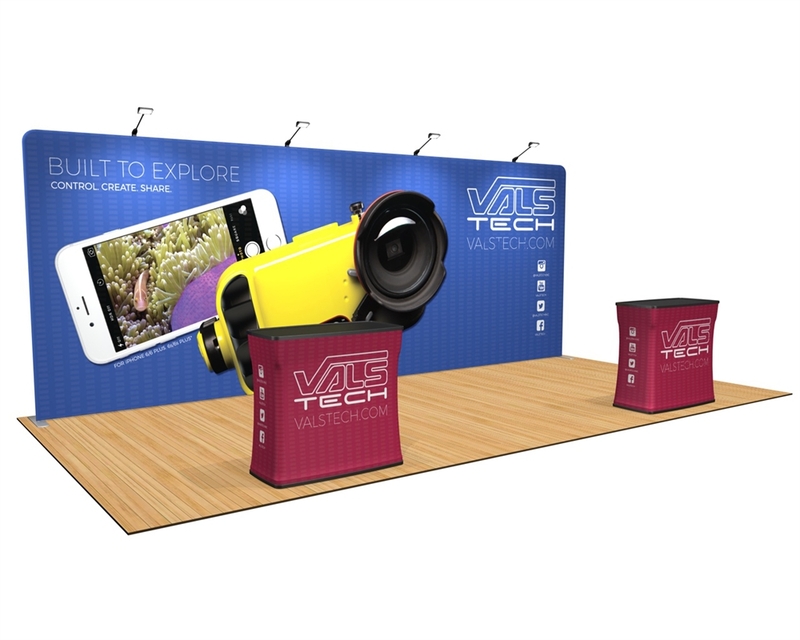 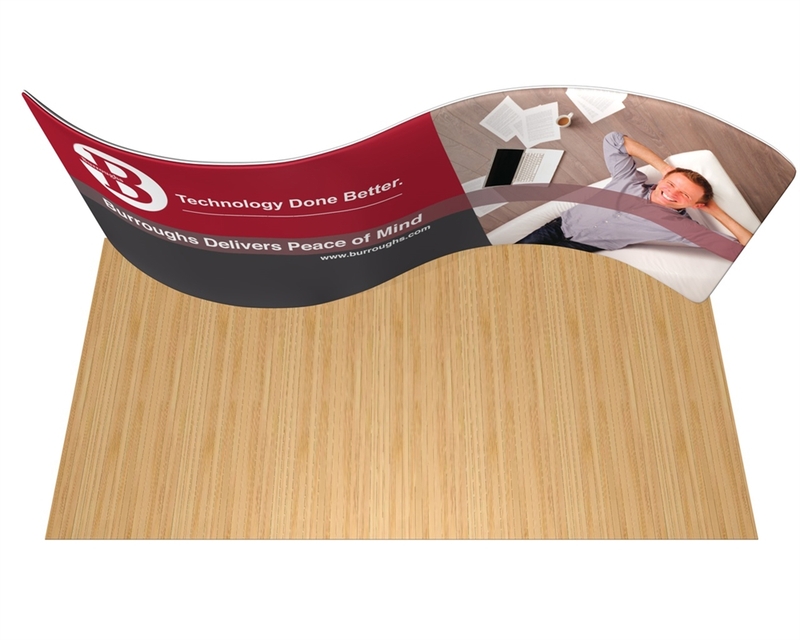 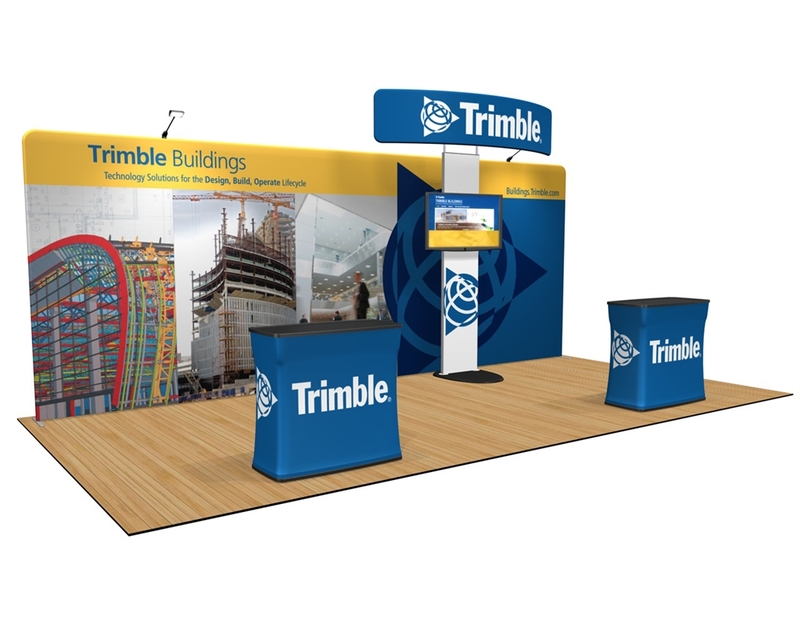 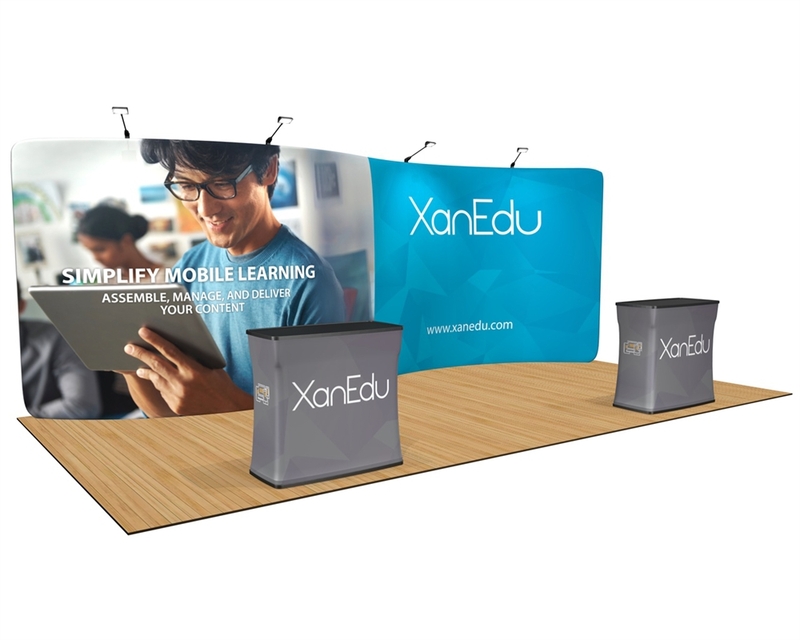 High quality tension fabric display that sets up in minutes, featuring a tubing system frame that is lightweight and durable. 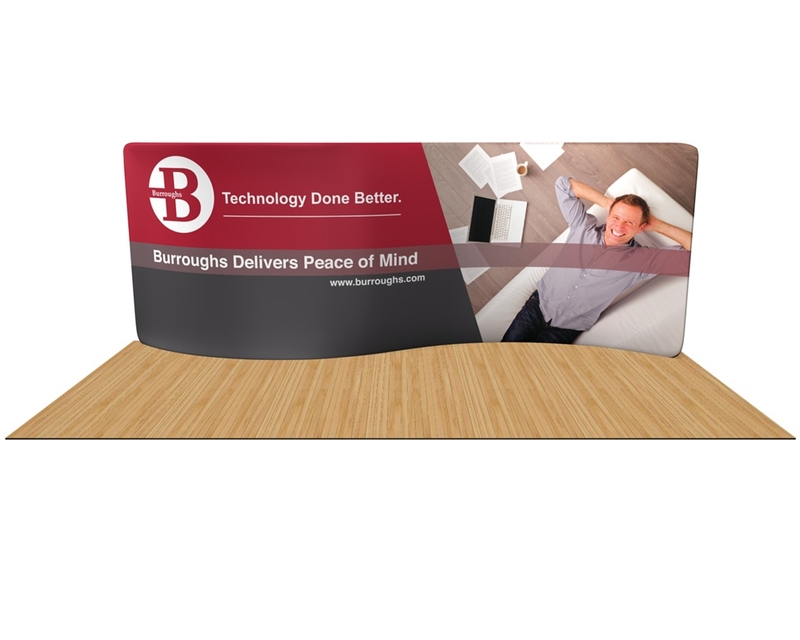 The graphic is printed with dye sublimation and is virtually wrinkle free. 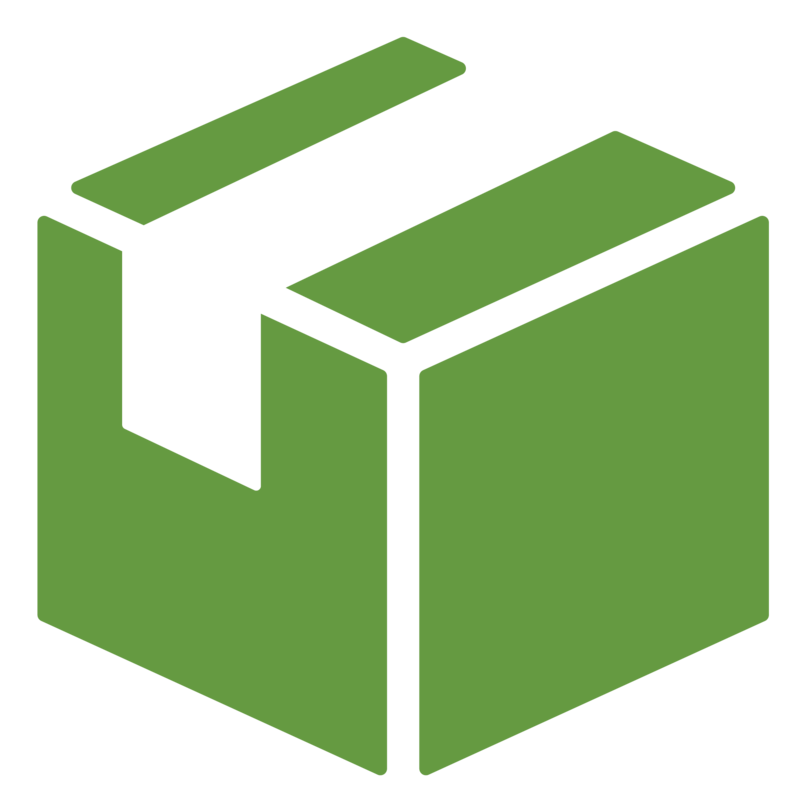 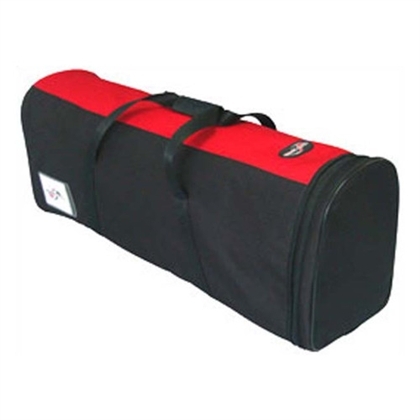 Ships with a soft padded nylon bag. 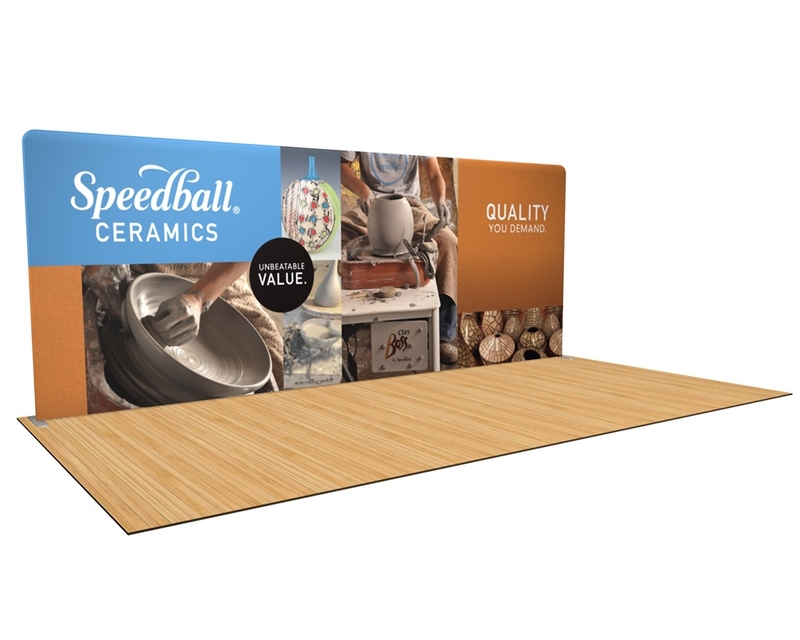 Featuring serpentine (s-shaped) backwall. 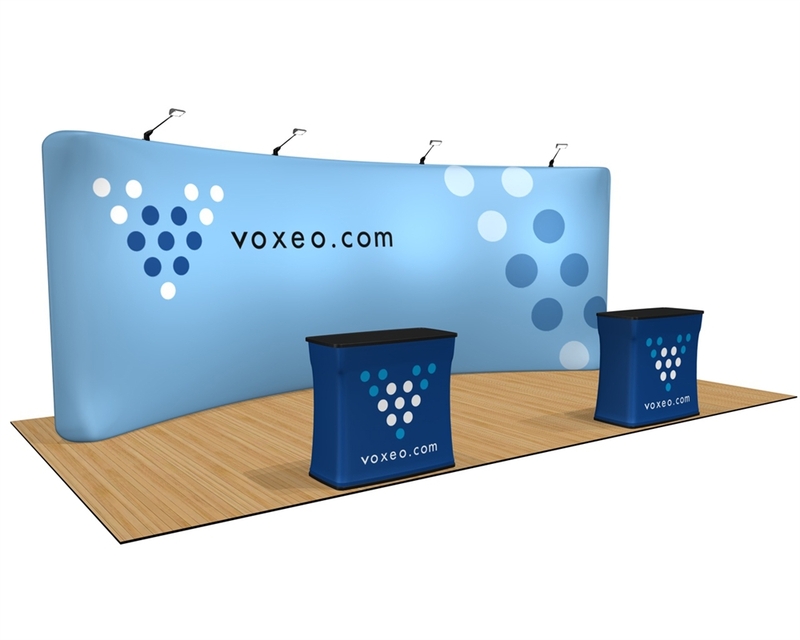 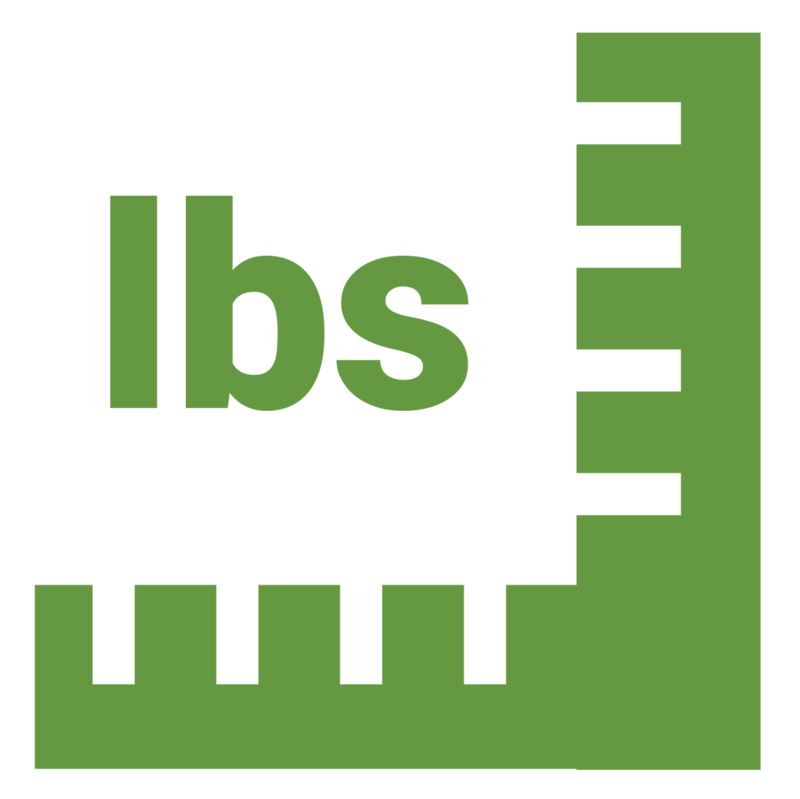 The frame is made from durable, lightweight 1-1/4" aluminum tubing that is bungee-corded together for easy set-up. 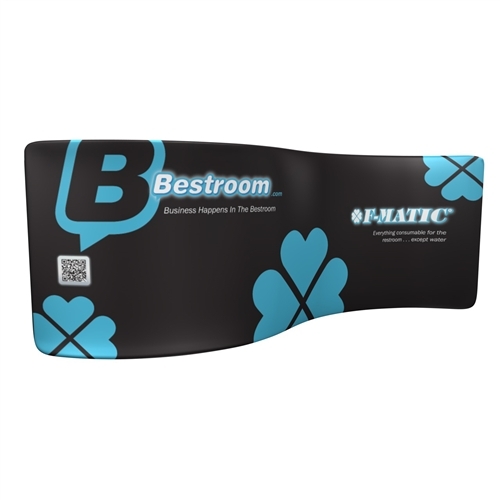 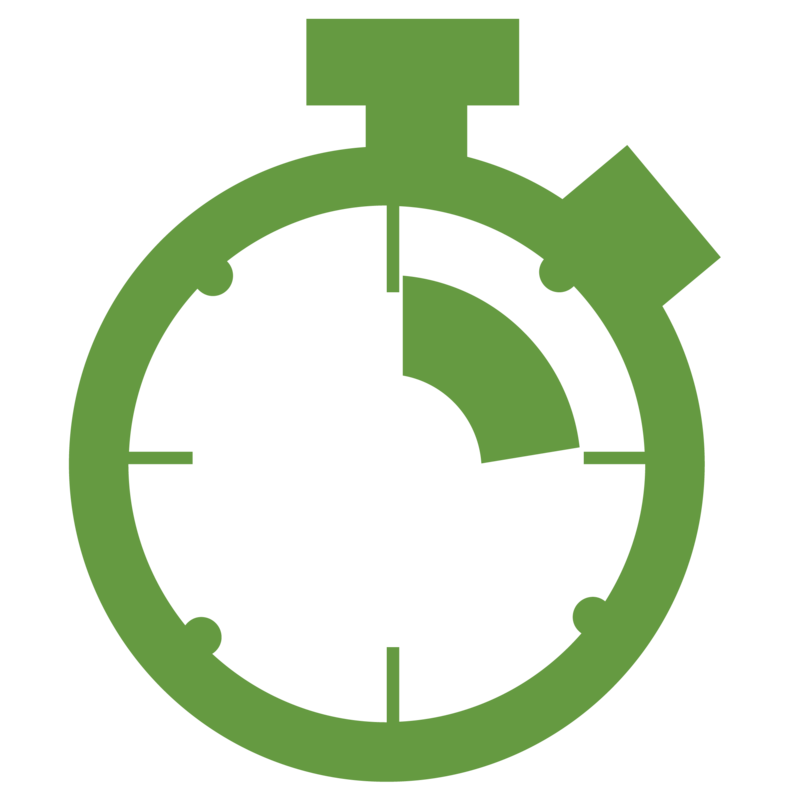 The graphic is printed in dye sublimation using the latest 8-color digital process. 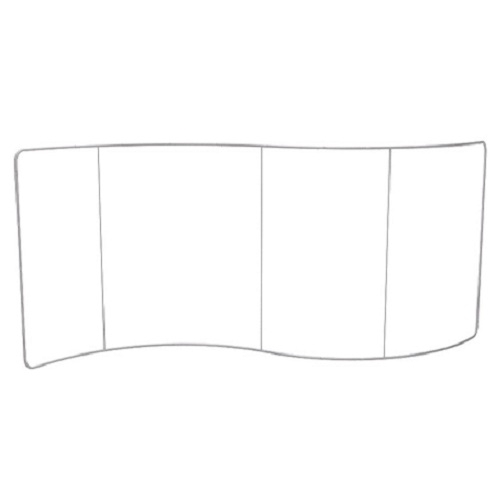 The fabric fits tightly around the frame and zips down the side to give the graphic tension and secure it on the frame. 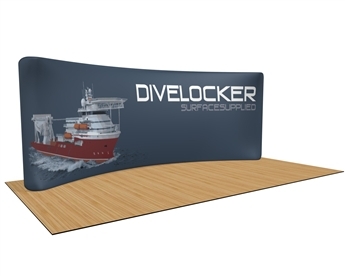 The stretch polyester fabric produces a wrinkle-free image when completely set up to create a smooth, serpentine shaped graphic wall.